Berserkers were fierce Norse warriors who were fearless in battle. They intimidated enemies by wearing bear or wolf skins, and an awesome looking helm like the Berserker Steel Helmet would have paired nicely with their attire. This helmet is equally intimidating. It seems to be a cross between a spangenhelm and a crusader helmet with a little bit of fantasy styling thrown in. 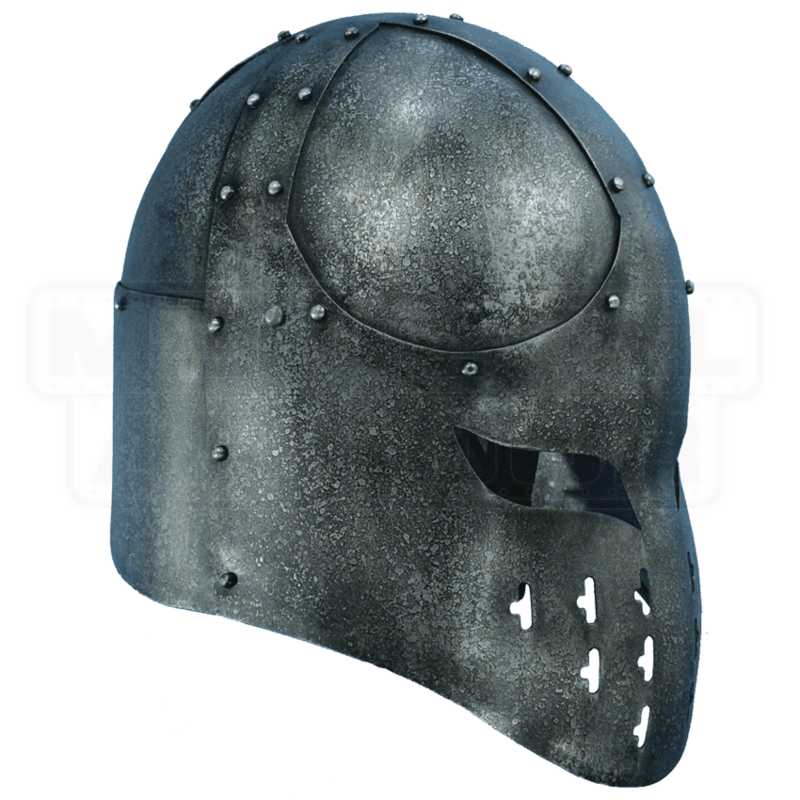 This helmet is available in a new type of Dark Metal finish, which gives the helmet a rugged, textured look, like it has been around for ages. The dark metal also protects against rust and is very durable. 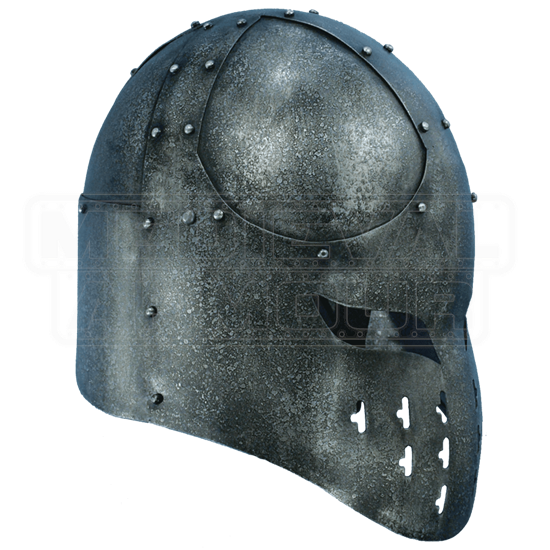 Our Berserker Steel Helmet is completely padded and lined on the inside, there is no need for an arming cap. This helmet also has an adjustable chin strap. The padding consists of thick strips of foam, if you need more room, you just take out some of the strips. If you need a tighter fit, than simply insert them into the leather liner. Very simple and extremely comfortable. This method gives you the perfect fit and prevents the helmet from sliding around. Available in Medium or Large.